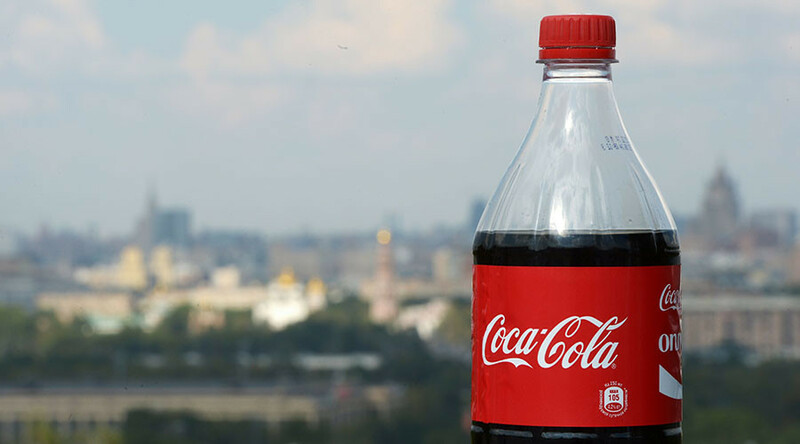 MP Oleg Mikheyev of the center-left party Fair Russia has asked prosecutors to list the Coca-Cola company as an “undesirable organization” due to the fact that the soda giant did not include Crimea on a Russian map in an online ad. The situation that drew the lawmaker’s ire took place over the New Year holidays. When Coca-Cola’s web promoters published a “New Year map of Russia” on the country’s most popular social network VKontakte (InContact), they did not include the Crimean Peninsula on it. Russian users immediately noticed this fact and started to criticize Coca-Cola for failing to accept political realities and respect the choice of the Crimean people. The soft drink giant then corrected the map to include Crimea, prompting a criminal prosecution by Ukrainian authorities. Eventually the controversial ad was removed completely. After this, Mikheyev wrote to prosecutors claiming that in his view Coca-Cola had demonstrated an unwillingness to comply with Russian law and had even questioned Russia’s territorial integrity for commercial purposes. The politician holds that this incident was sufficient reason to recognize the company as an “undesirable organization” – a move that makes it illegal for Russian citizens and companies to maintain any contacts with the corporation under threat of heavy fines. However, in its current formula the law on undesirable foreign organization can only be applied to NGOs, and not to commercial entities. Probably knowing this, Mikheyev added in his letter that if prosecutors see fit they could also probe Coca-Cola for extremism. “When first they published an ad showing Russia without one of its integral parts it could be considered a mistake. But when Coca-Cola started altering the map to meet some political demands the case gained a political background. Their actions caused a huge resonance in the community. They might have removed the map, but the fact remains a fact,” Mikheyev told Izvestia daily. Mikheyev is known for his initiatives targeting unhealthy foods, such as potato chips and sweet soft drinks. In late January this year he asked the government to introduce graphic warning labels on fast food packaging, claiming that such step could stop the spreading of obesity and improve the general health of the population. In 2015 he proposed an additional tax on junk food, saying that the measure would increase prices and people would less eagerly buy harmful products. Coca-Cola’s internationally-recognized image has been used previously by Russian politicians to draw public attention. For example, in mid-2015 the head of the Party of Pensioners urged the government to impose sanctions against Coca-Cola, claiming that the soda giant was sponsoring anti-Russian politicians in the United States. He also noted that the move would benefit the health of the Russian nation and help the domestic soft drink industry.